My two year old loves Minion. If you play the song “Happy” by Pharrel Williams, my son goes on a crazy groove! He finds Minions funny and popularized the song “Ba-NA-Na Na-na-nana”. 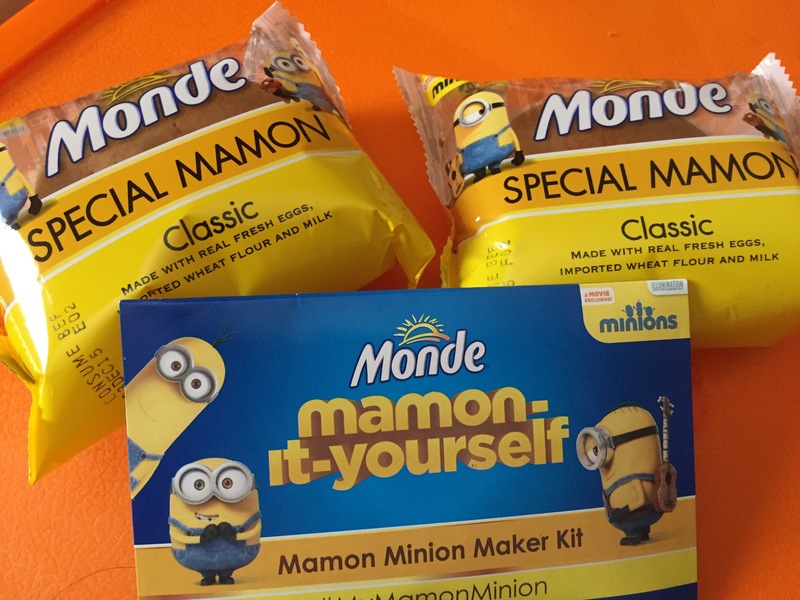 But in one of my grocery visits we found this set of Monde Mamon with the minion on the packaging. Naturally, we are gravitated to buy them– marketing, marketing so their product gets pushed. But inside it is a great activity to do with your kids. 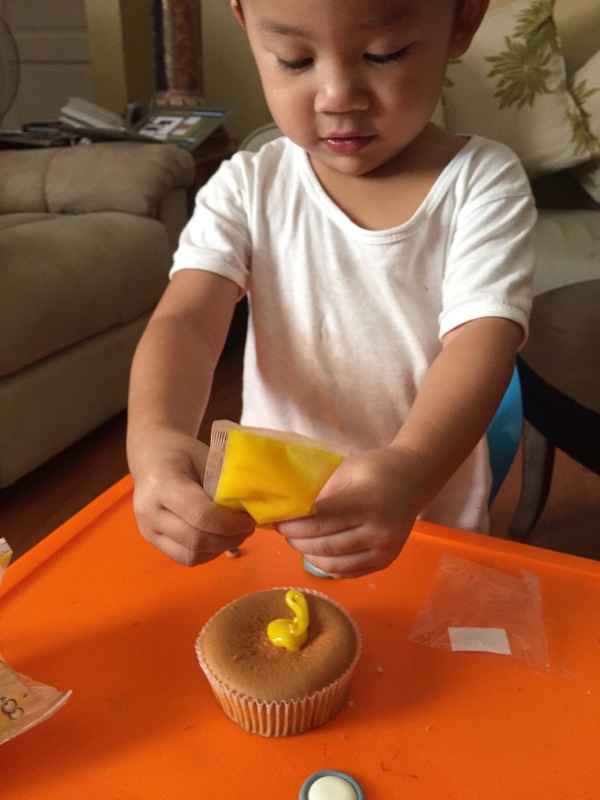 They prepare for you some yellow icing, black fondant, and eye fondant icing to make your own minion design. It’s a pretty cool thing! 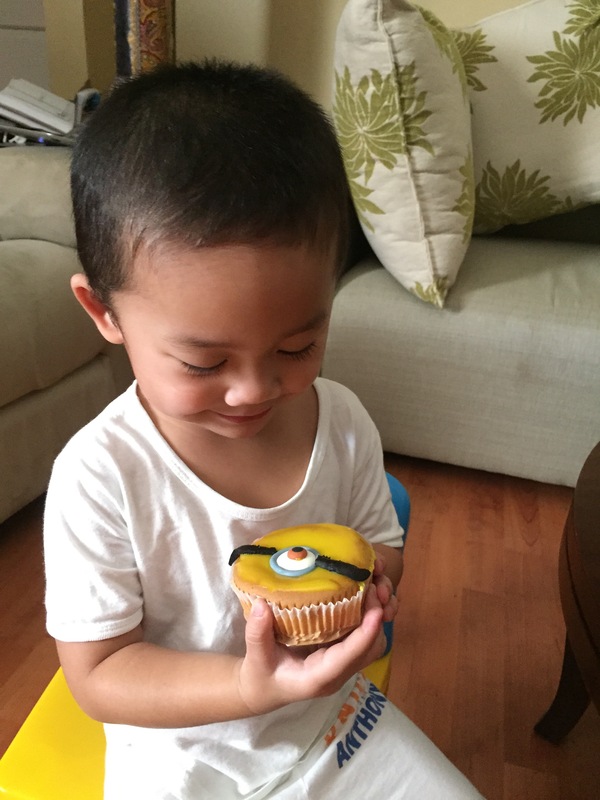 So Joshua with my supervision, we attempted to make his Minion Mamon. Mommies have to be around to assist. 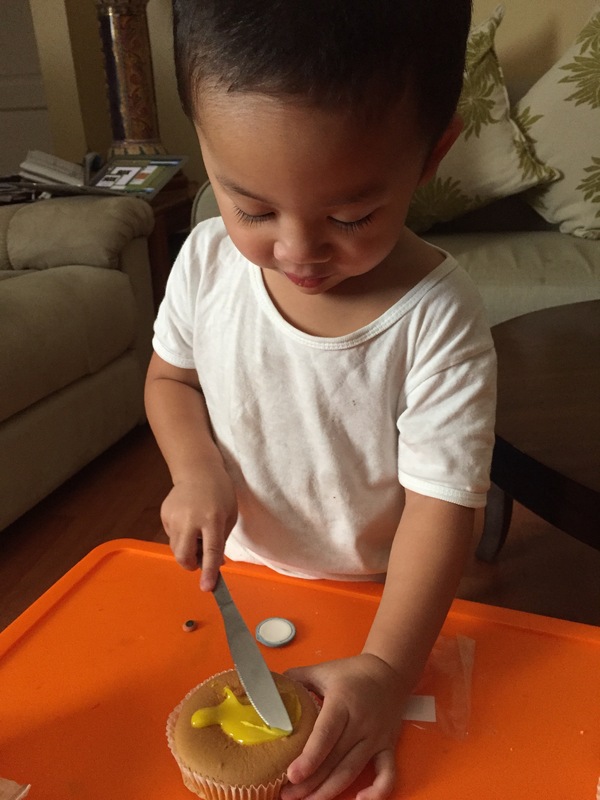 As much as possible we give our children the space to complete some of the tasks. Joshua enjoys stuff like this. It was not long, and he finally made his one-eyed Minion! He is quite excited to eat it now! And mind you, the mamon was pretty good too. By the way, Monde never asked me to write about their product. This is one honest review and I’m glad there are stuff like this for kids and parents. These are activities that help build bonds and memories! « No Tricks for my babe!